Yes...I will admit it - I love clothes, shoes, accessories, etc. 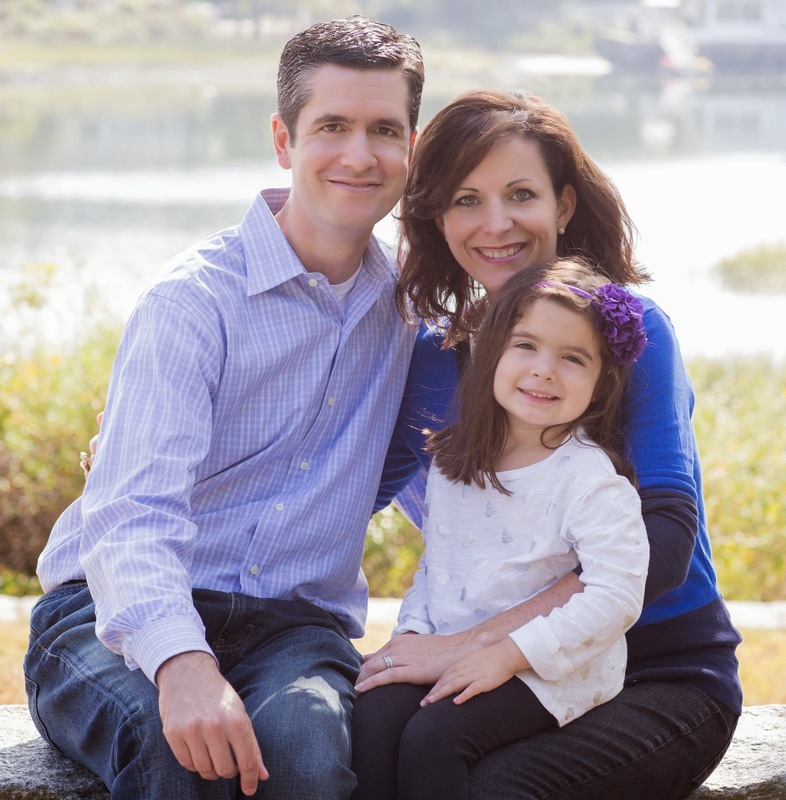 And my little 5-year old seems to be following in my footsteps. She enjoys picking out her outfit for school each day (sometimes resulting in a rather odd -- I mean..interesting combination of colors and patterns). Always one to encourage a creative spirit, I noticed that she was getting frustrated during the process, since she couldn't reach many of her fave pieces hanging in the closet. Hmmm...think I know what our next little project will be. 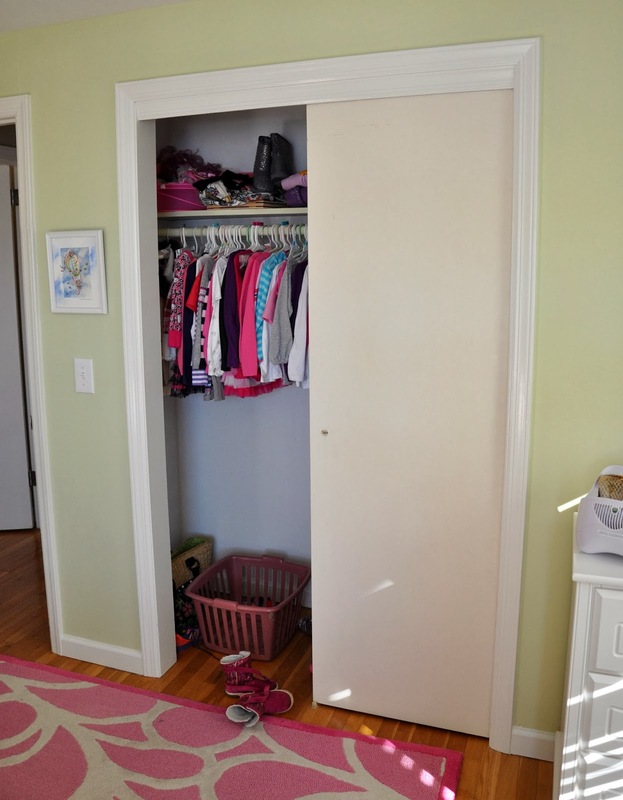 The closet in my daughter's room is pretty run-of-the-mill, although I do like that it's really wide and has a high shelf. We had painted all of the closets white before moving in...just to give them a fresher, cleaner feel, but hadn't really touched them since. My thought was to install a lower hanging bar, plus inject a little fun into the space. First, I think we need to add a little color here...I'm thinking "Pink"? Oh yes...I'm getting a thumb's up from mini-me on this idea. That definitely makes a diffeence! 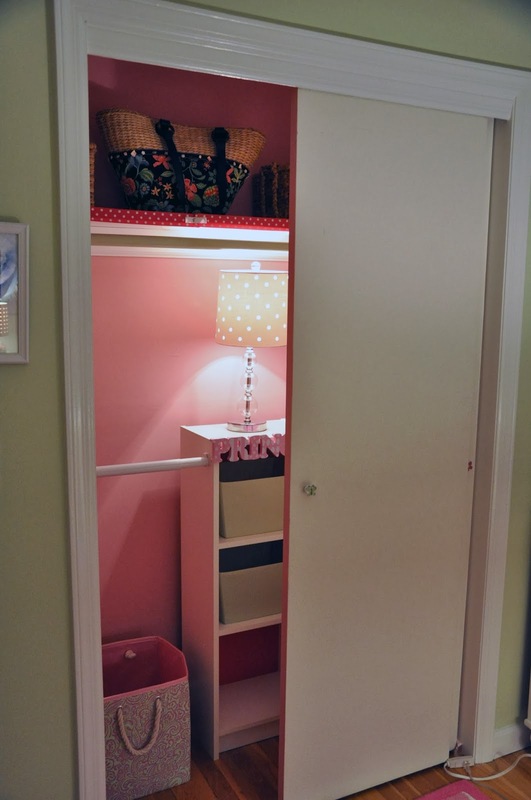 As mentioned, I also wanted to add a the lower hanging bar for just half of the closet -- keep the other half usable for dresses once she gets older. 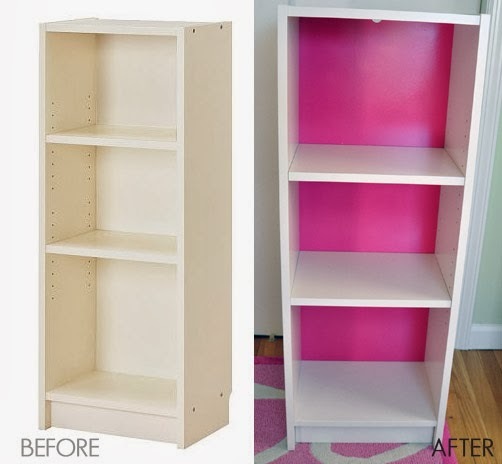 We picked up the Billy Bookcase from Ikea & injected a little color (pink, of course) to spice things up. 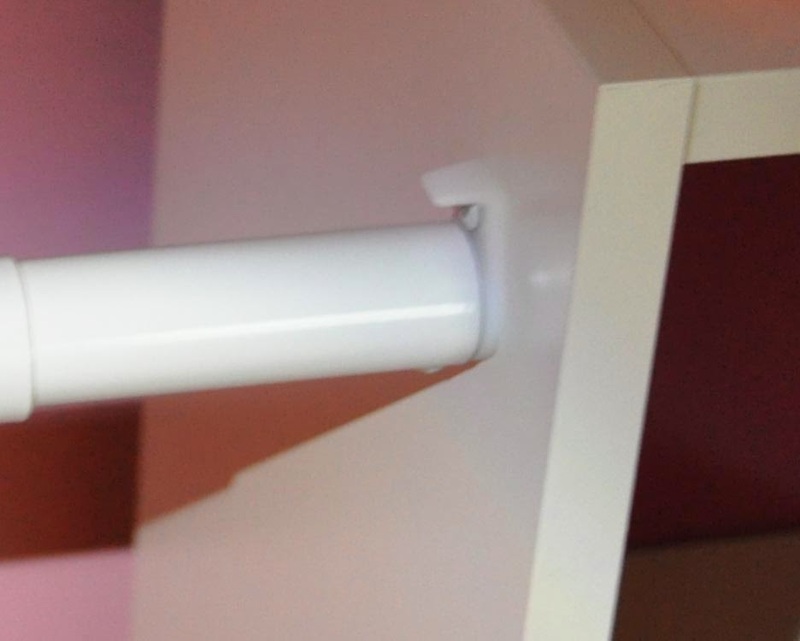 Then, I bought a white adjustable bar from Home Depot (in the closet section), made some measurements, installed a few screws, and voila! Lower hanging bar AND shelving...niiiiice! Now...needs a few accessories (thank you, Home Goods), and then we'll be done. Oh yes -- this is MUCH better. 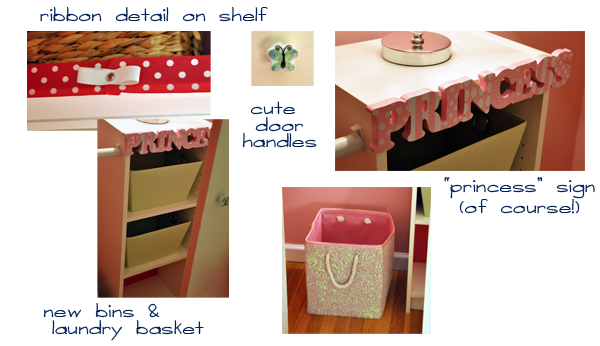 What little girl wouldn't love this closet?? 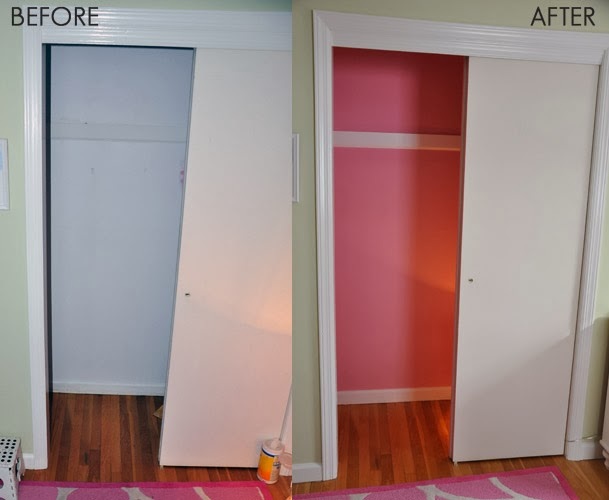 Will add replacing these closet doors to the list, but definitely a huge improvement!